7 DAYS ONLY: Saturday 25th November till Saturday 2nd December. FIRST ACCESS FRIDAY for PROCYCLES Customers Only. HUGE DISCOUNTS ON ALL BMW RIDERWEAR. ALL TRIUMPH CLOTHING AND ACCESSORIES. 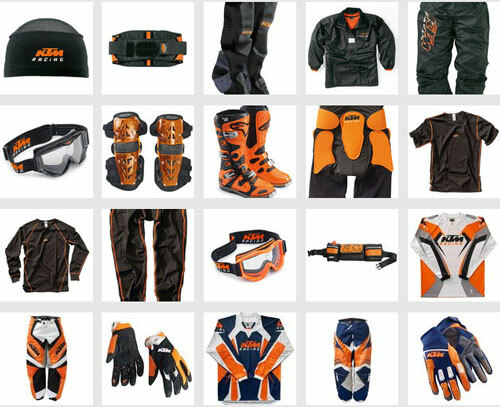 ALL KTM POWERWEAR. ALL WUNDERLICH PARTS AND ACCESSORIES. ALL HELMETS. BOOTS. 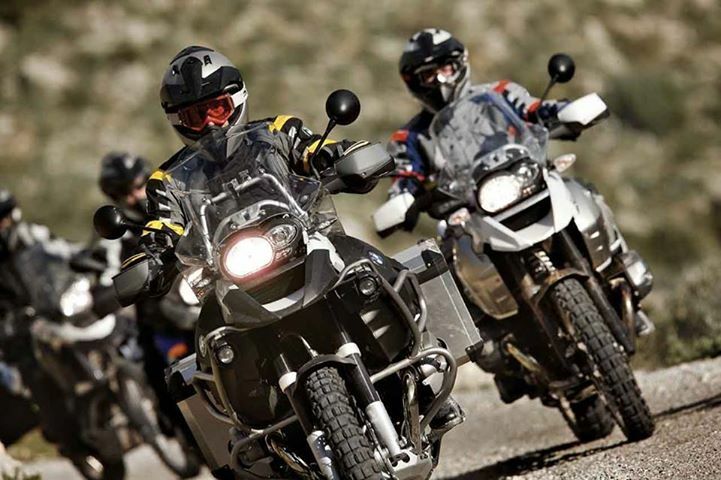 Save Hundreds $$$ on BMW Rallye Jackets and Pants. BMW Tank Bags and Luggage. Triumph Leather. SPIDI Leather. Arai Helmets. BMW Helmets. And Lots More InStore. Big Savings on KTM MX Shirts and Pants. Triumph T-Shirts. KTM PowerParts. Kreiga Backpacks, KTM Novelties, SHELL, Castrol, Motul and Motorex Oils and Lubricants. BMW, Triumph, KTM, Suzuki Brands. All Low, Low Klms. All Immaculate Like New. 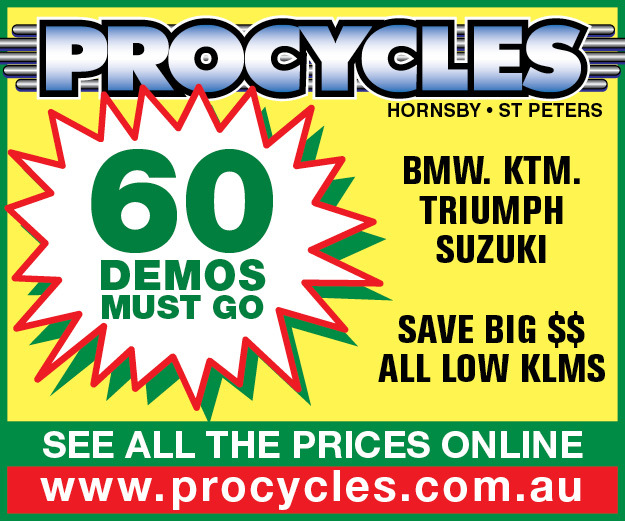 Starts Saturday November 25th for Unbelievable Bargains. Be Early. Both Stores: 148 George Street Hornsby and 140 Princes Highway, ST Peters. next post: Billy Wins Both Races in Malaysian KTM RC390 Cup Final.